SLEEPY EYE — Evelyn Aukrust age 101, of Sleepy Eye, MN died on September 4, 2018, at the Sleepy Eye Medical Center. Private Memorial Service will be held at the Sturm Funeral Home, Sleepy Eye, on Friday, September 7, 2018. The clergy will be Pastor Keith Ainsley. Interment will be at the Zion Lutheran Cemetery, Hanska. Evelyn Aukrust was born on October 20, 1916 in Home Township, Brown County, MN to Richard & Serelda (Cossen) Hose. She married Astor G. Aukrust on October 6, 1943 at the Lutheran Parsonage in St. James. Following marriage they moved to Sleepy Eye where Evelyn worked at the Sleepy Eye City Cafe and the Orchid Inn. 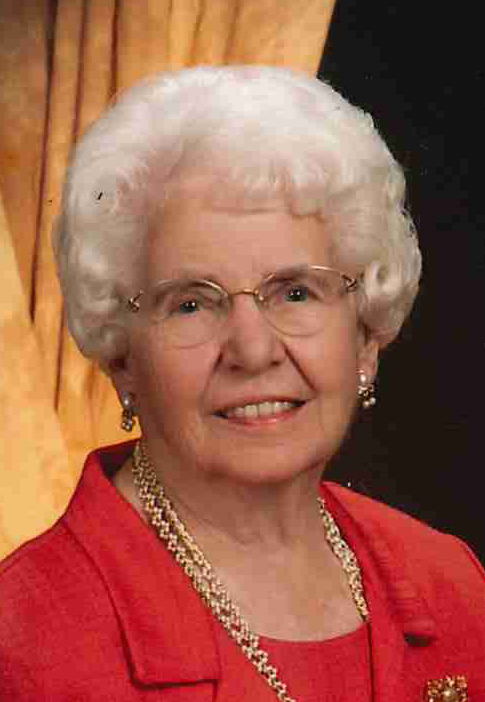 Evelyn was a member of Trinity Lutheran Church in Sleepy Eye. She enjoyed sewing with church women, having coffee with friends and family and especially spending time with her grandchildren and great grandchildren. She is survived by her children, Rosie (Luverne) Krzmarzick of Sleepy Eye, Richard (Jane) Aukrust of Hanska, Donald (Maggie) Aukrust of Cedar, MN and 12 grandchildren, 21 great grandchildren, 3 great-great grandchildren and good family friend, Mark Friton. She was preceded in death by Astor in 2002 and daughter, Dee Lindsey in 1996.